The FD 300 Office Desktop Folder is compact and features clearly-marked fold settings with push-button operation, making it simple to use, right out of the box. 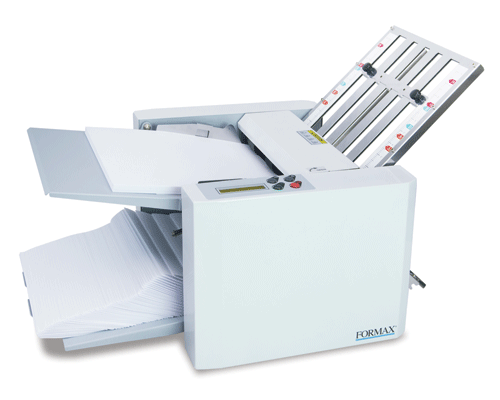 It's an affordable solution for low-volume folding projects, which can process paper at speeds up to 7,400 sheets per hour, and in both 11" and 14" sizes. Standard features include an LCD control panel with resettable 3-digit counter, an output conveyor for neat, sequential stacking, and AutoBatch for processing set numbers of sheets at a time. With its user-friendly features, the FD 300 is ideal for churches, schools and small offices that demand quick and easy set-up with minimal adjustment.